The top 10 crystal oscillators! A crystal oscillator is an electronic circuit that generates an electrical signal with a very precise frequency. To achieve this, it uses the mechanical resonance of a vibrating crystal made of piezoelectric material. The first crystal oscillator was invented in the late 1920s by Walter Guyton Cady who was interested in submarine detection with ultrasonic waves. He suggested that a piezoelectric resonator could be used as a frequency reference, a coupling device between circuits, or a filter. Crystal oscillators are the most common type of linear oscillators. They are most commonly made of quartz, which sets the frequency at which a specific oscillator works. These devices are used in microcontrollers and microprocessors for providing the clock signals and other industrial applications such as computers, radios, clocks, watches, TVs and more. There are different types of crystal oscillator circuits such as the Colpitts Crystal Oscillator which normally uses a common collector amplifier, Pierce Crystal Oscillator which uses transistors and FETs, the Butler oscillator which is a crystal-controlled oscillator and the Tri-tet oscillator which is a crystal-controlled vacuum tube oscillator circuit. The Pierce oscillator configuration is commonly used because of cost, size, stability, and easy implementation. It includes a resistor, two capacitors, a single digital inverter, along with the quartz crystal. When designing a crystal oscillator circuit you should think in terms of the crystal’s internal series resistance. The equivalent series resistance that the crystal is seeing must be equal to or less than the crystal’s internal series resistance to get the best frequency stability. You can also include extra elements to avoid oscillation from happening when power is applied. 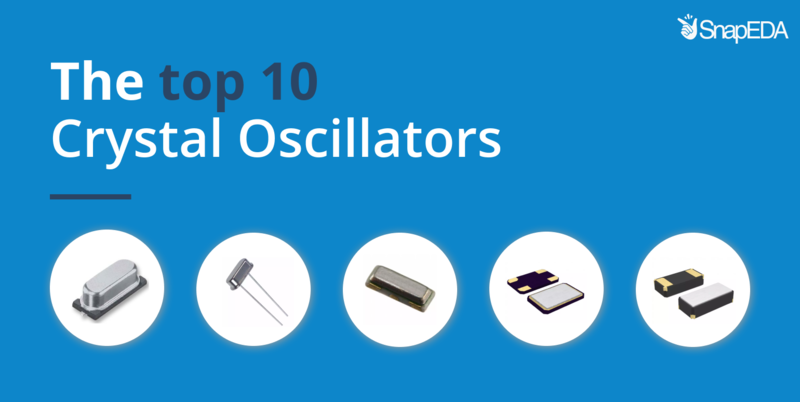 Let’s take a look at the top 10 Crystal Oscillators on SnapEDA! 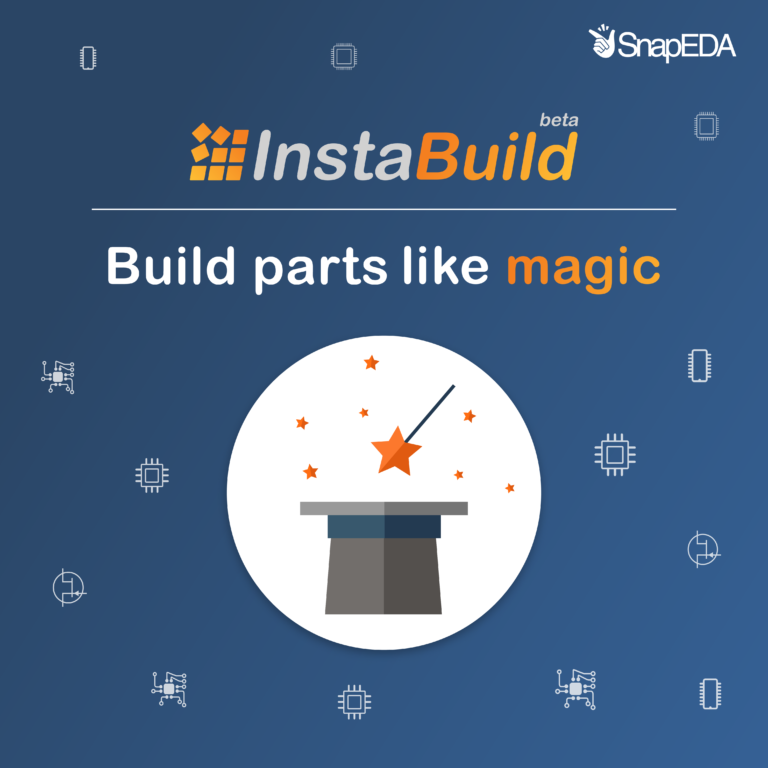 Note: This data is based on downloads of symbols & footprints on SnapEDA. 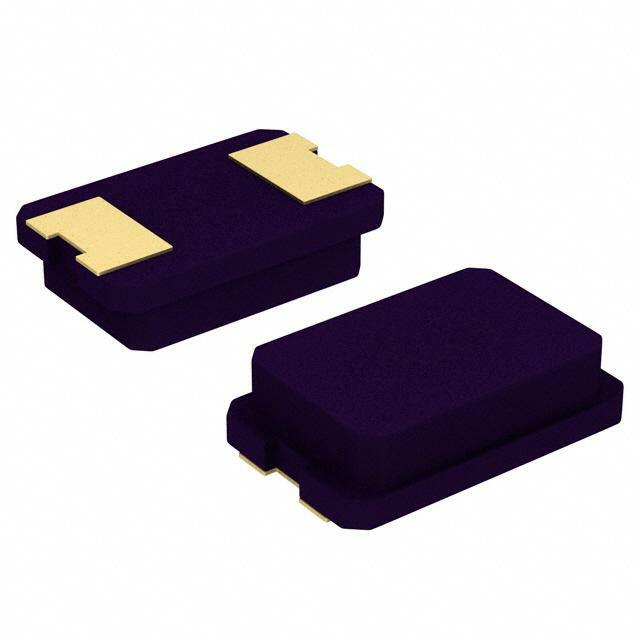 Browse more crystal oscillators here. 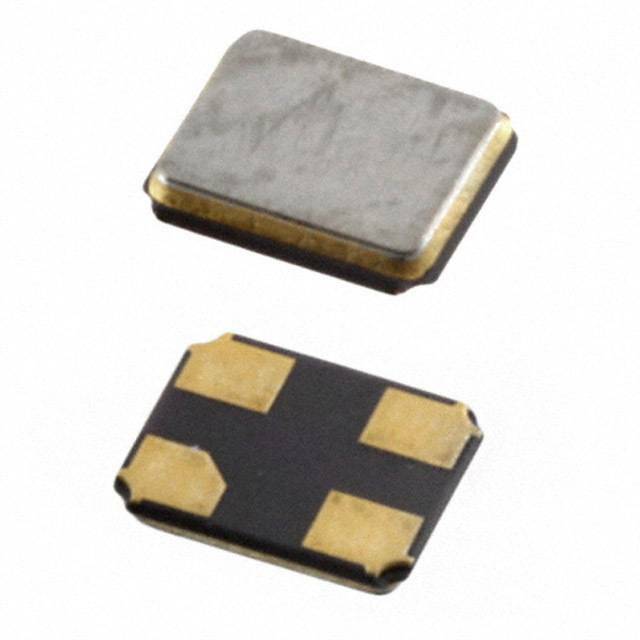 This ceramic crystal offers frequency tolerance ±20ppm, frequency 16MHz, operating temperature -20℃ to 70℃, frequency stability ±50ppm, SMD-4 package, 5.0mm x 3.2mm x 1.1mm, built-in load capacitance pF. 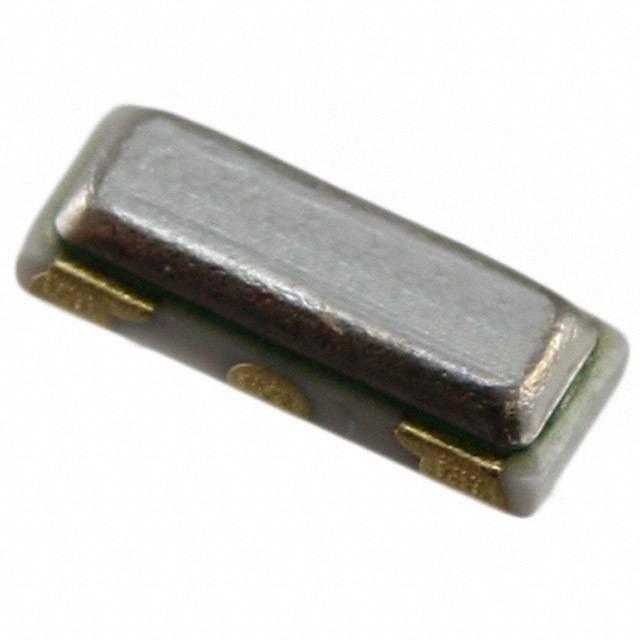 This crystal offers frequency tolerance±30ppm, frequency 8MHz, operating temperature -20℃ to 70℃, frequency stability ±50ppm, SMD-2 package, 11.70mm x 5.0mm x 4.50mm, built-in load capacitance 20pF. This ceramic crystal offers frequency tolerance ±20ppm, frequency8MHz, operating temperature -40℃ to 85℃, frequency stability ±30ppm, SMD-2 package, 5.0mm x 3.20mm x 1.30mm, built-in load capacitance 18pF. 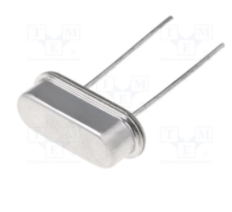 This crystal offers frequency tolerance ±10ppm, frequency 16MHz, operating temperature -40℃ to 85℃, ESR 60Ohms, SMD-4 package, 3.20mm x 2.50mm x 0.60mm, built-in load capacitance 9pF. 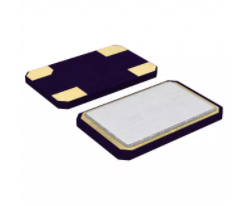 This crystal offers frequency tolerance ±20ppm, frequency 8MHz, operating temperature -20℃ to 70℃, frequency stability ±50ppm, SMD-4 package, 5.0mm x 3.2mm x 1.1mm, built-in load capacitance 18pF. This ceramic resonator offers frequency tolerance ±0.5%, frequency8MHz, operating temperature -20℃ to 80℃, frequency stability ±0.2%, SMD-3 package, 3.20mm x 1.30mm x 0.79mm, built-in load capacitance 33pF. This AT-CUT crystal offers frequency tolerance ±30ppm, frequency 16MHz, operating temperature -20℃ to 70℃, ESR 50Ohms, through-hole package, 11.50mm x 4.66mm x 3.50mm, built-in load capacitance 18pF. 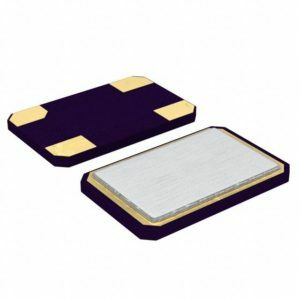 This crystal offers frequency tolerance ±30ppm, frequency 16MHz, operating temperature -20℃ to 70℃, frequency stability ±50ppm, SMD-2 package, 11.70mm x 5.0mm x 4.5mm, ESR 40Ohms, built-in load capacitance 20pF. 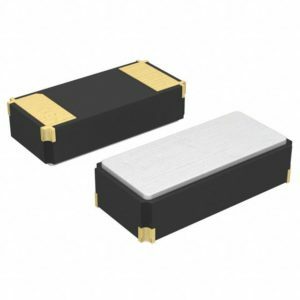 This low profile crystal offers frequency tolerance ±20ppm, frequency 32.768kHz, operating temperature -40℃ to 85℃, ESR 70kOhms, SMD-2 package, 3.20mm x 1.50mm x 0.90mm, built-in load capacitance 12.5pF. 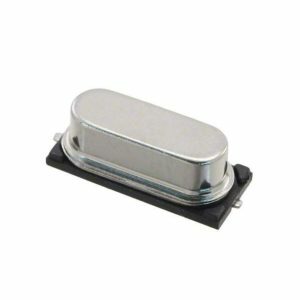 This ceramic resonator offers frequency tolerance ±0.5%, frequency 16MHz, operating temperature -20℃ to 80℃, frequency stability ±0.3%, SMD-3 package, 3.20mm x 1.30mm x 1.00mm, built-in load capacitance 15pF.